Each wrestler in WCW Wrestling has eight "selectable" moves, two Irish whip moves, and a finisher. WCW Wrestling differs from most wrestling titles in that the player selected his or her moveset prior to the match. Each wrestler has a menu of eight moves (with each wrestler featuring a unique moveset), of which the player may choose four (each move selected is assigned to a direction on the D-pad). WCW Wrestling was originally a 1989 Japanese game called Super Star Pro Wrestling. The game featured several wrestlers legendary in Japan, such as Big Van Vader, Abdullah the Butcher, Giant Baba, and Antonio Inoki. 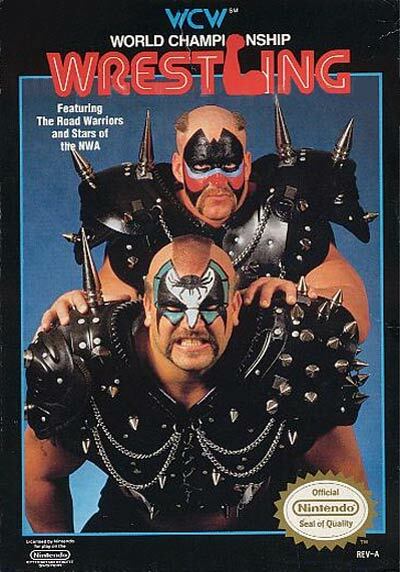 It also featured Road Warrior Animal and Road Warrior Hawk, who are the only two wrestlers to appear in both Super Star Pro Wrestling and WCW Wrestling. On Super Star Pro Wrestling's character select screen, the left column of names are Japanese wrestlers, while the right column are American wrestlers. This is why some of the WCW wrestlers have odd finishers.